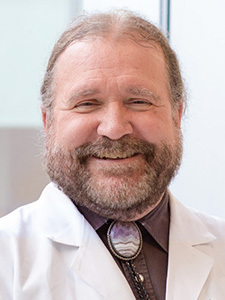 Dr. Charles Strnad received his medical degree from the Chicago Medical School before completing his residency at the University of Oklahoma Medical College in Tulsa followed by a fellowship at Vanderbilt University. Dr. Strnad is board certified in internal medicine, hematology, and medical oncology by the American Board of Internal Medicine. Currently, he is the director of blood and marrow stem cell transplantation for OCSRI. Dr. Strnad is certified by MD Anderson Cancer Network®, a program of MD Anderson Cancer Center.